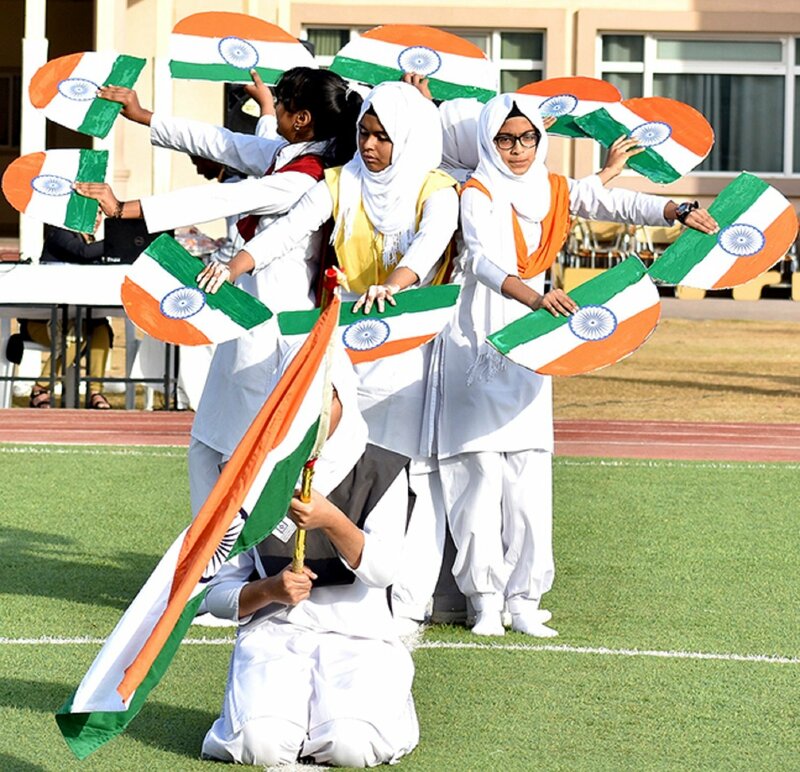 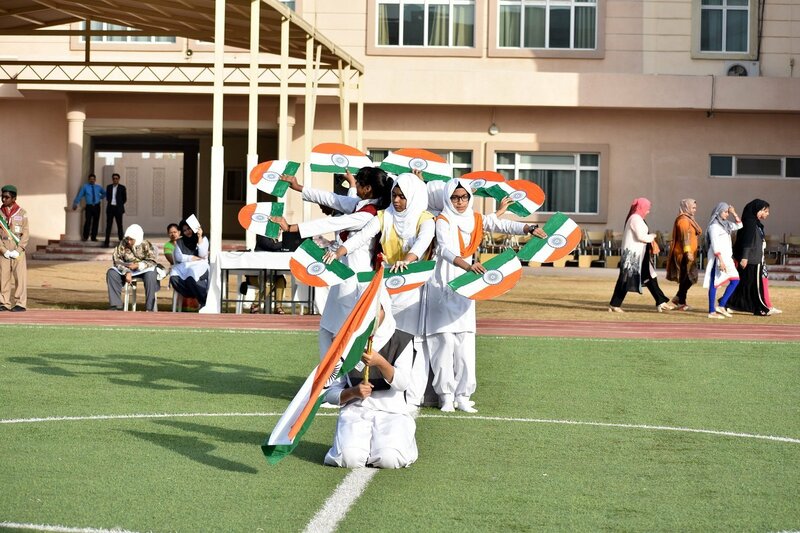 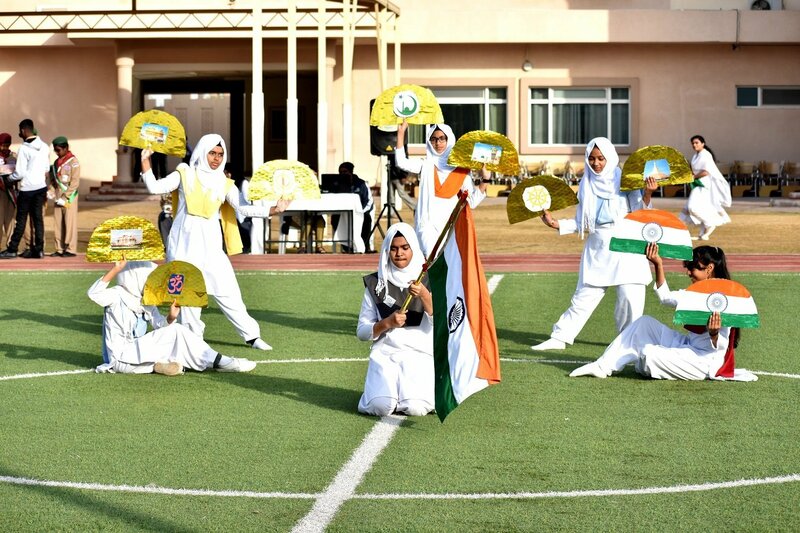 The 69th Republic Day of India was celebrated with great patriotism at Shantiniketan Indian School. 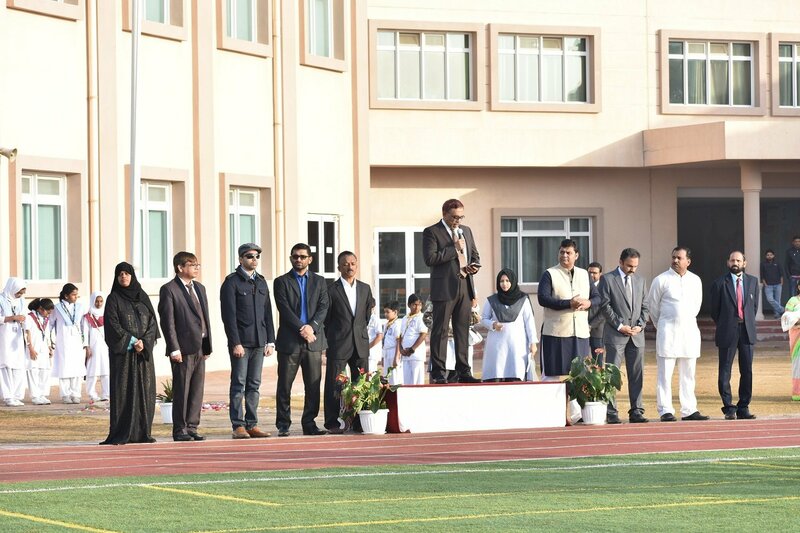 Mr. Abdul Kader, General Secretary, School Management Committee hoisted the national flag and delivered the Republic Day message. 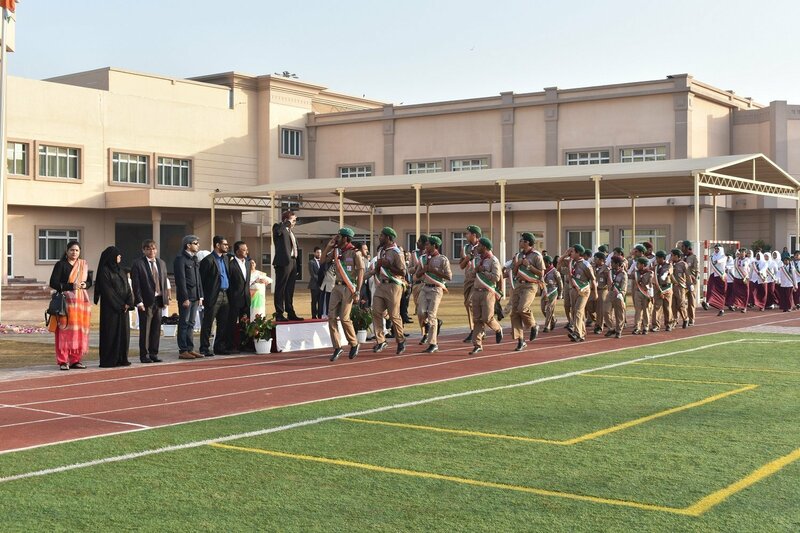 He also received the salute by scouts and guides and the marching band. 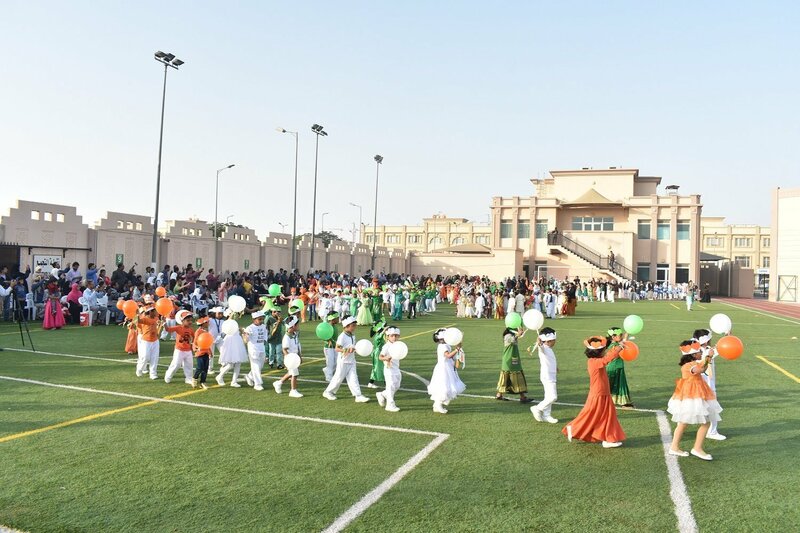 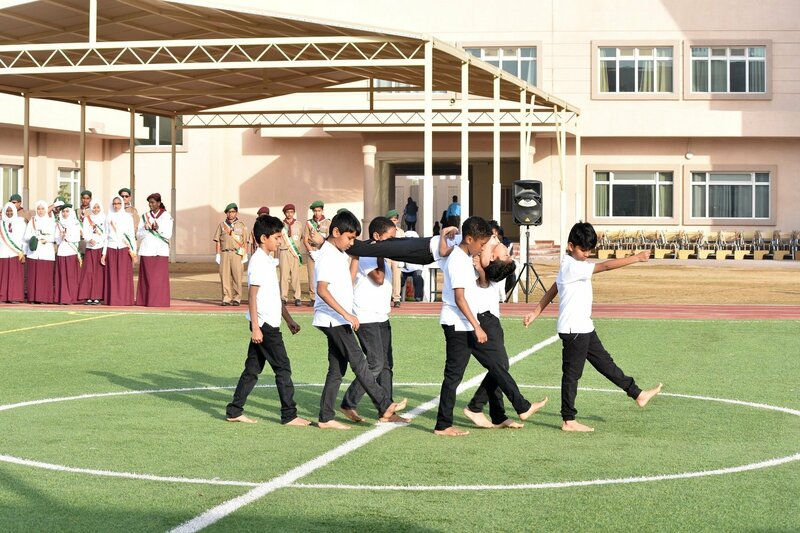 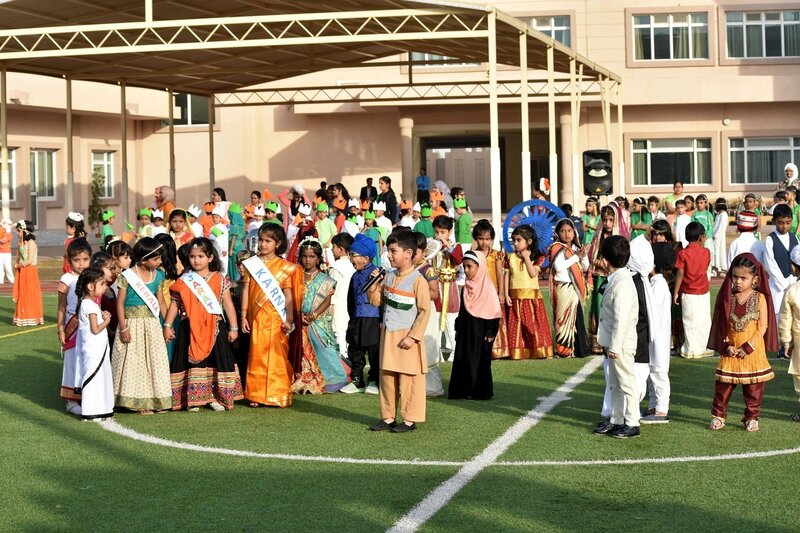 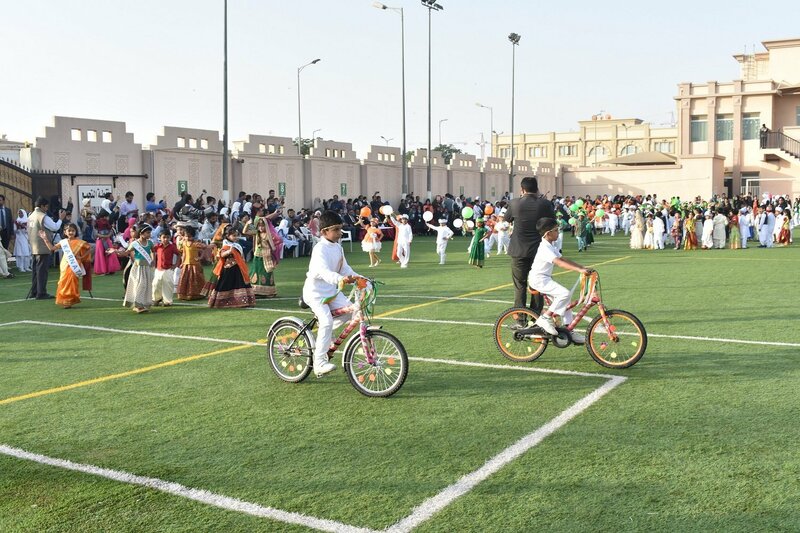 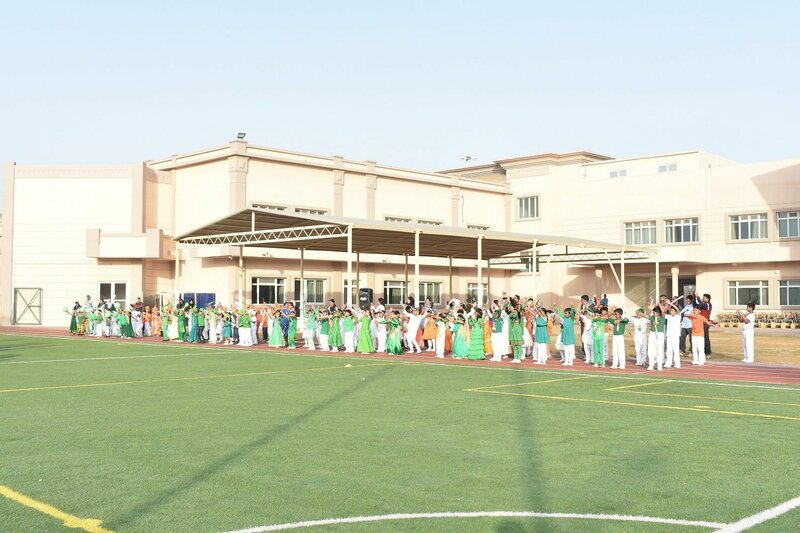 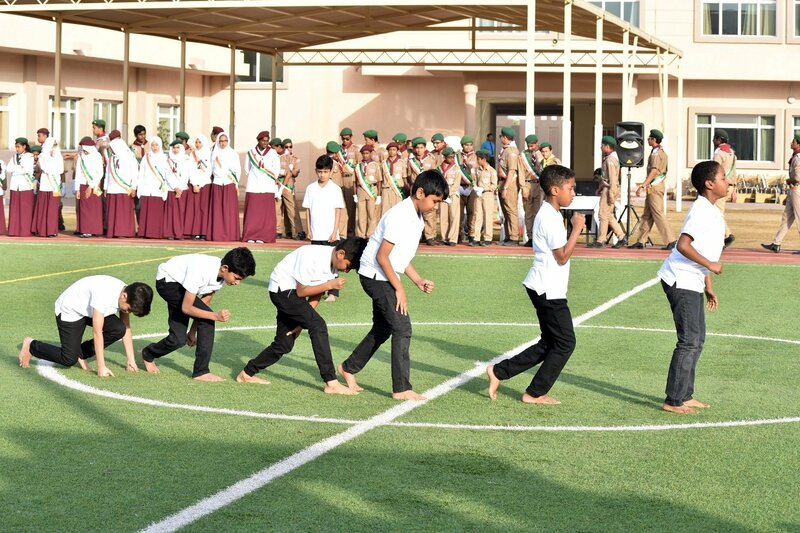 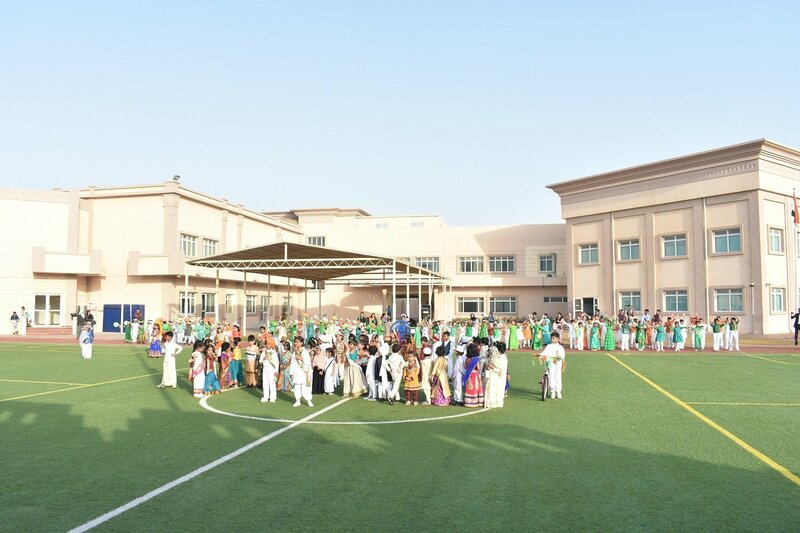 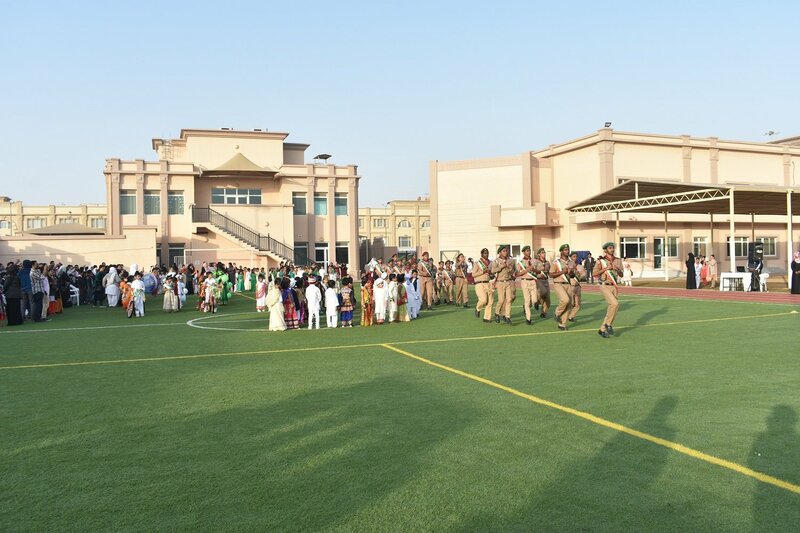 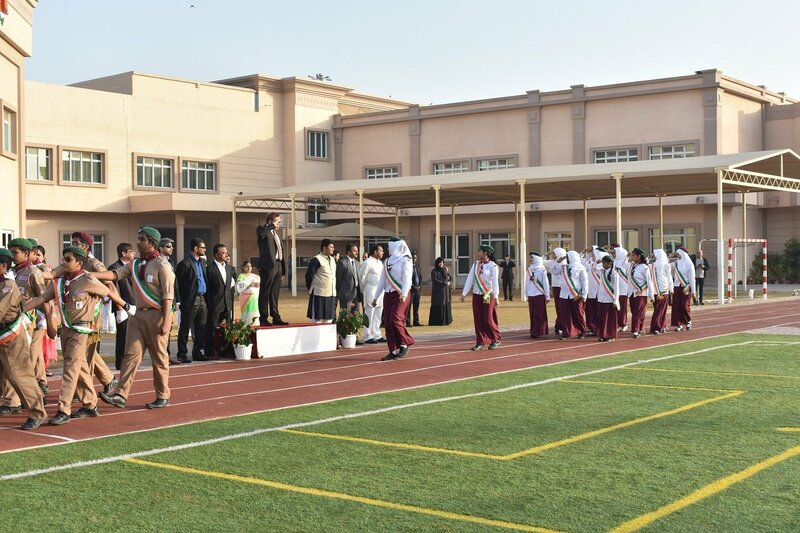 The celebration was marked with a colourful parade by the pre-primary and primary sections. 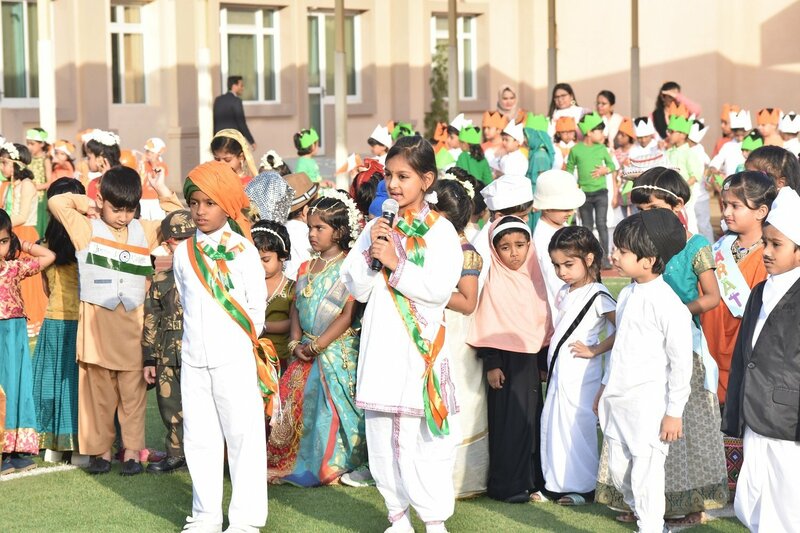 Nivya Singara Karthickeyan and Irfan Yaaseen Shamseer, students of class two, recollected the contributions of Dr. Ambedkar in the making of the constitution of India. 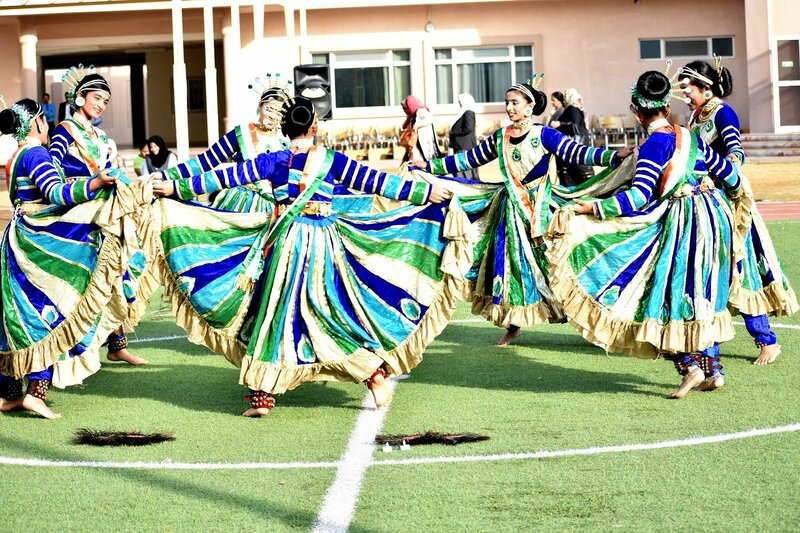 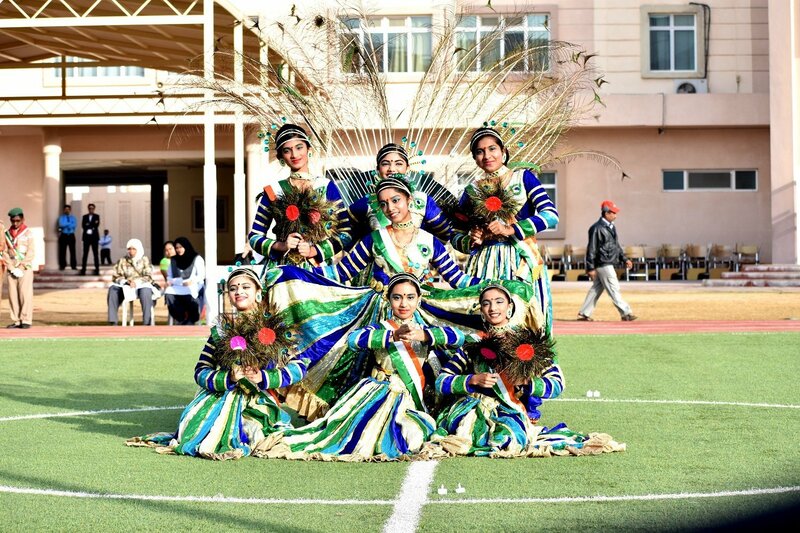 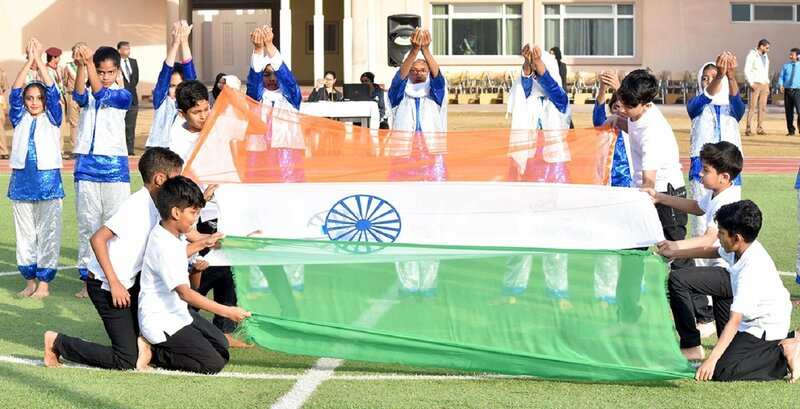 This was followed by a cultural programme of patriotic songs, mime, tableau, and dance representing India in all its glory. 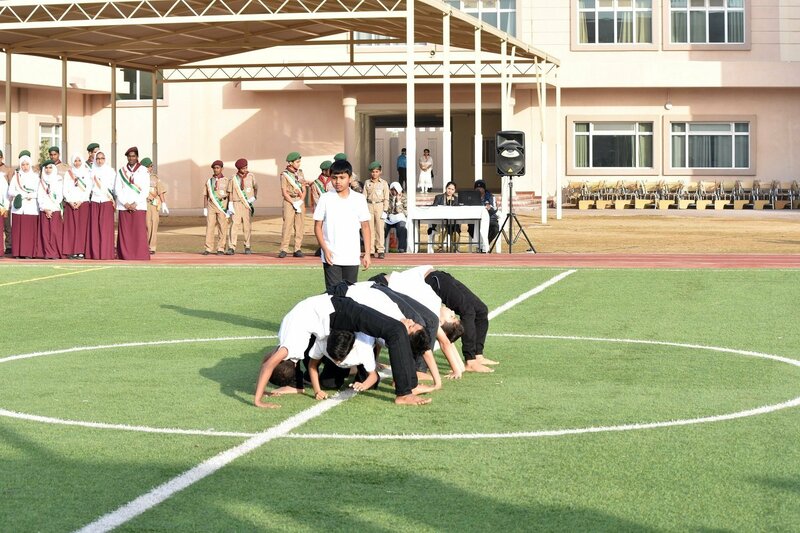 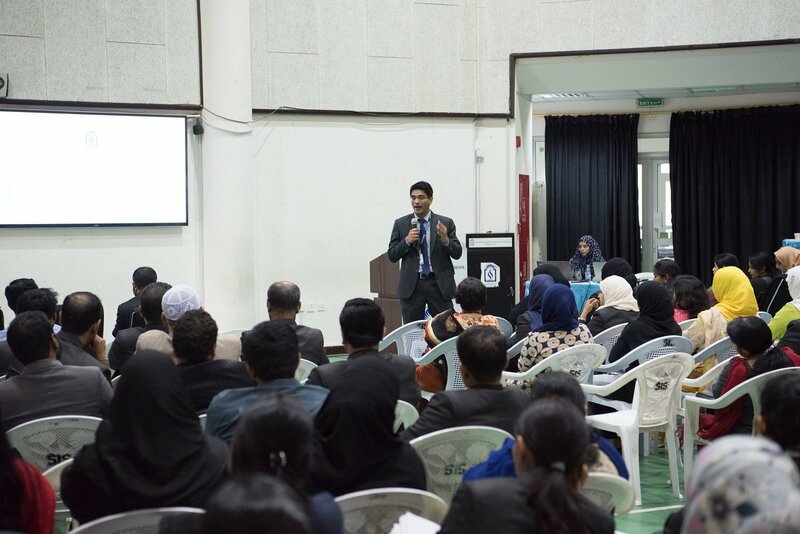 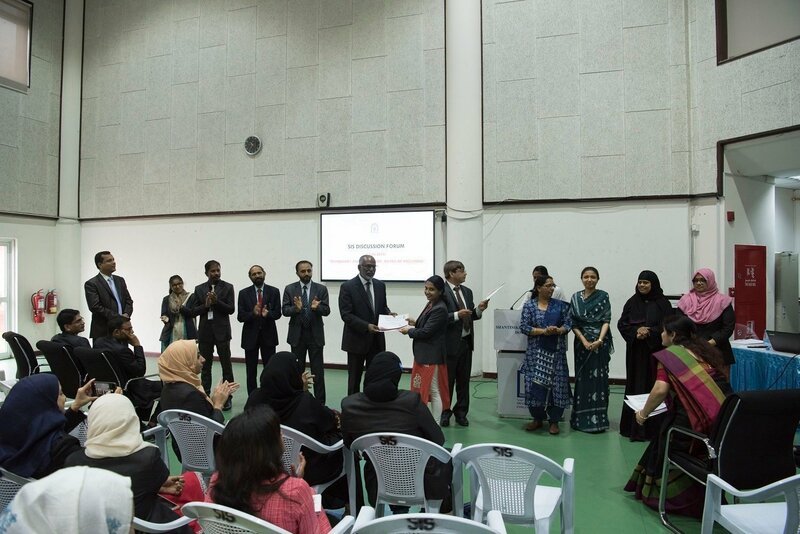 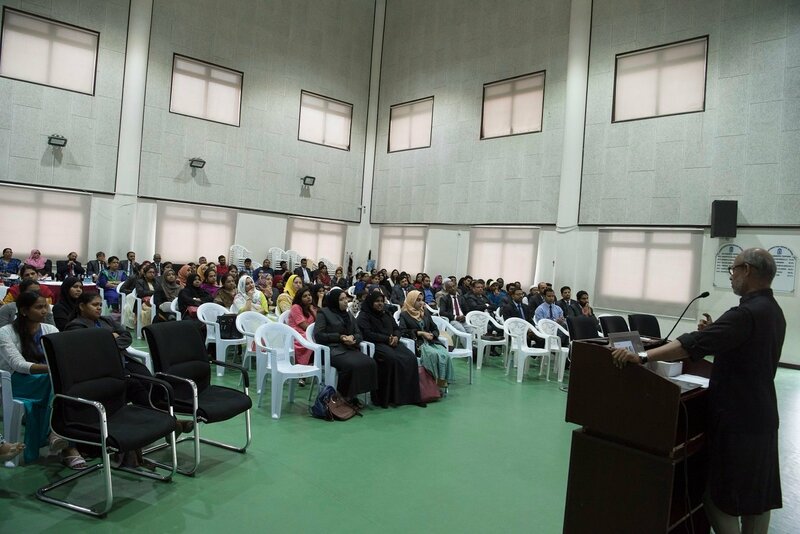 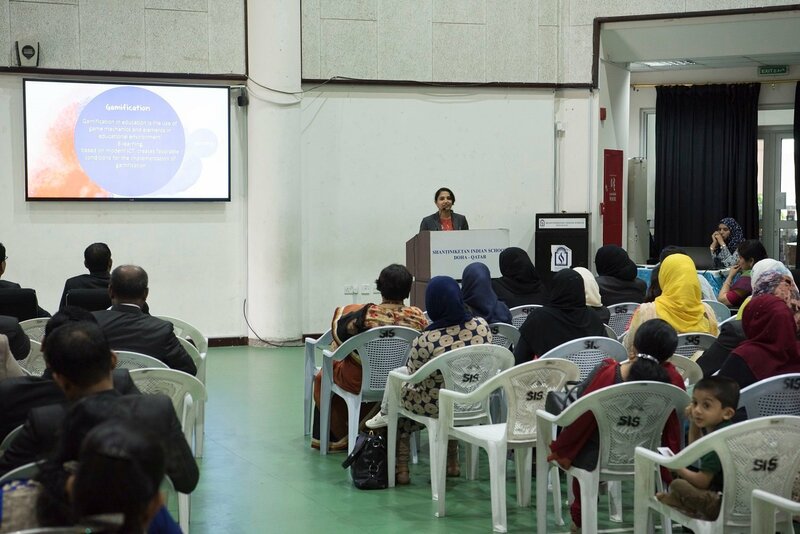 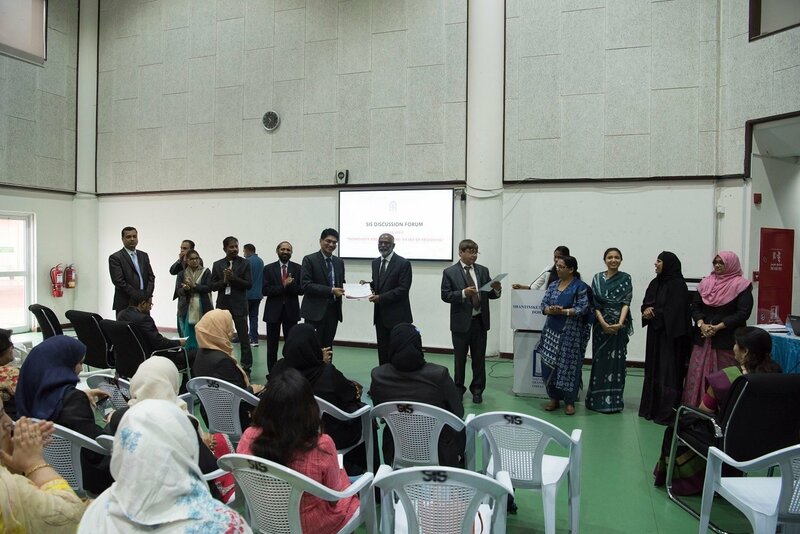 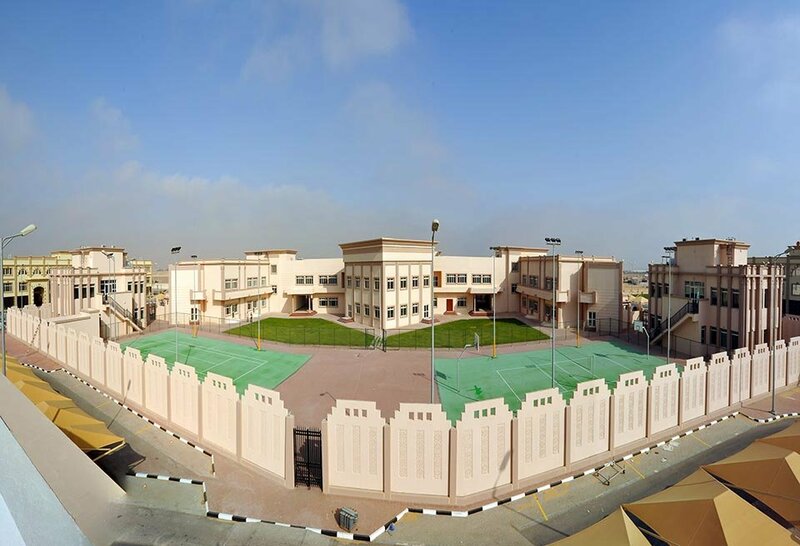 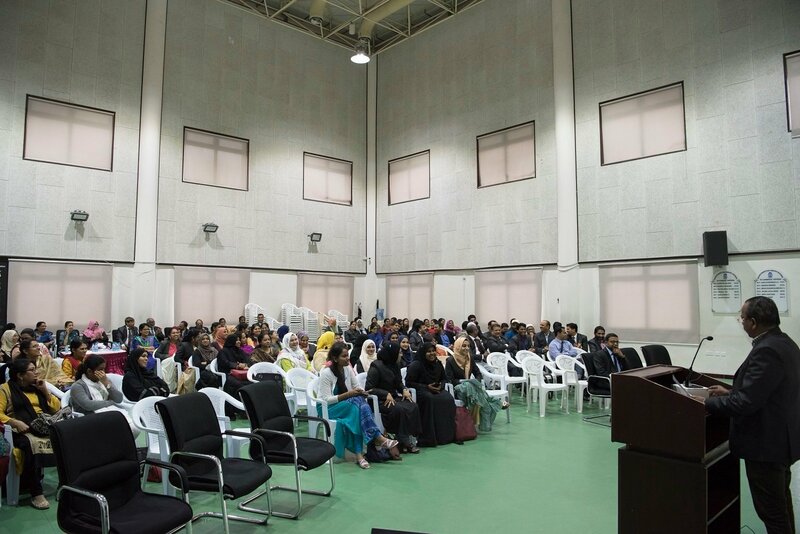 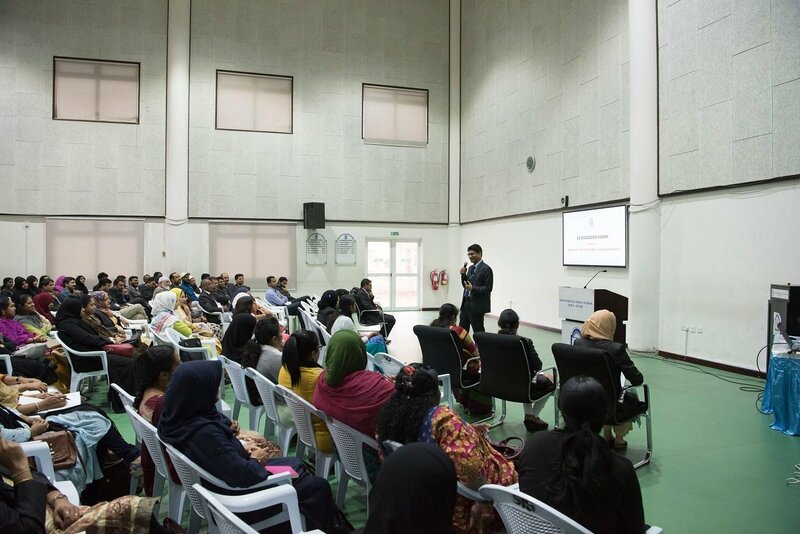 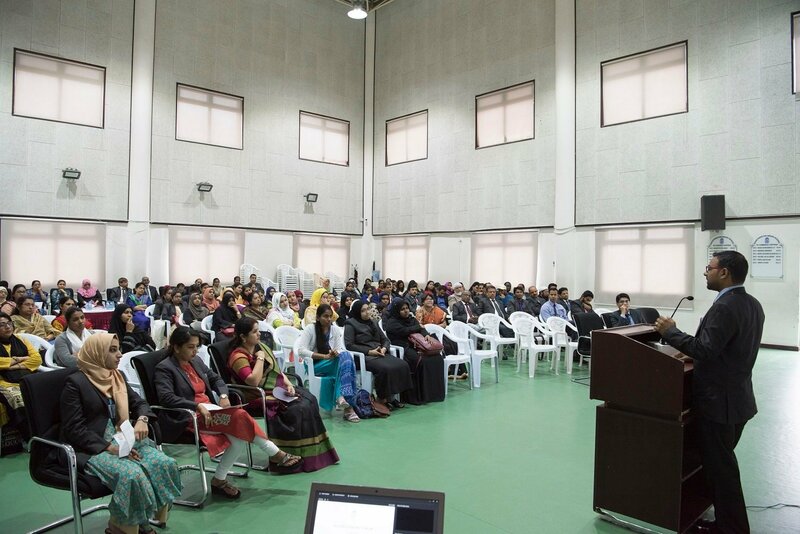 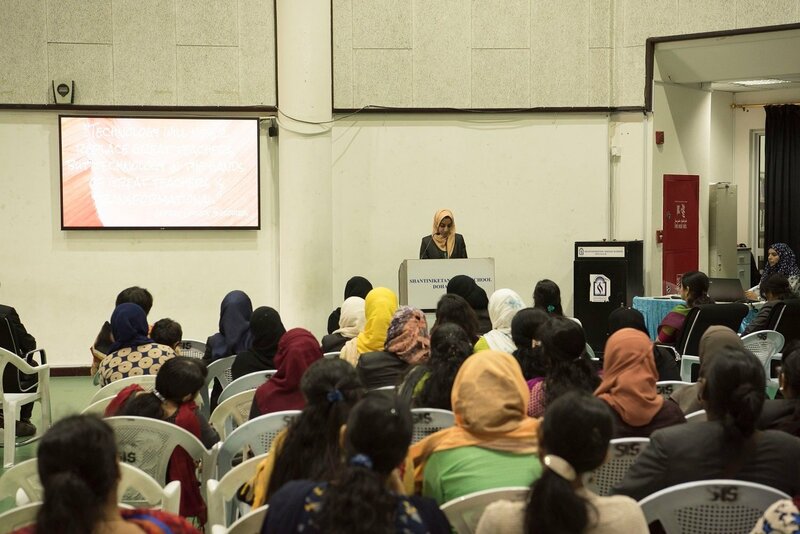 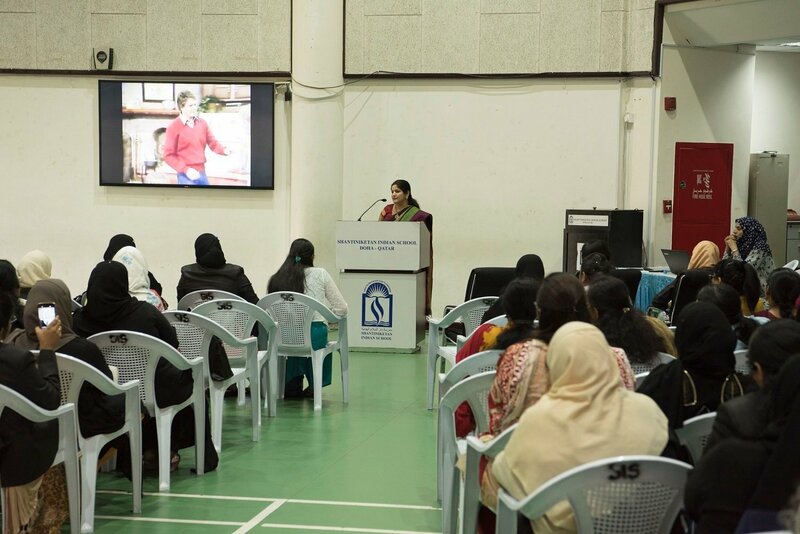 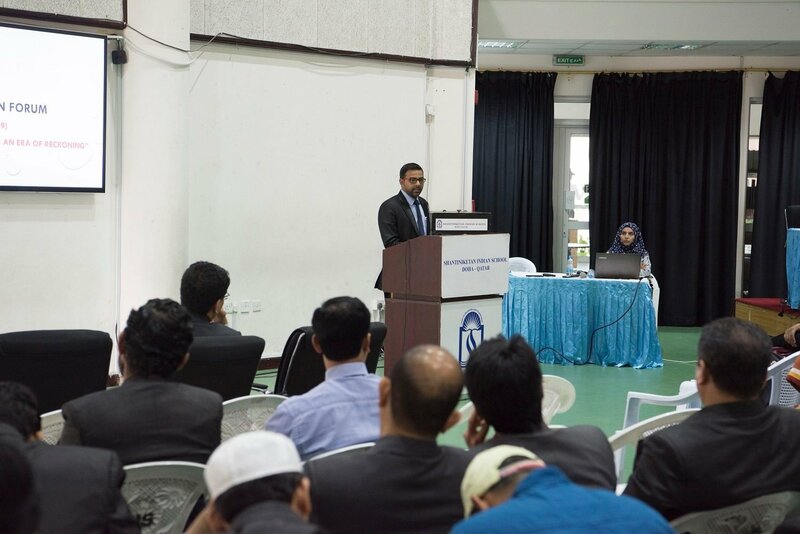 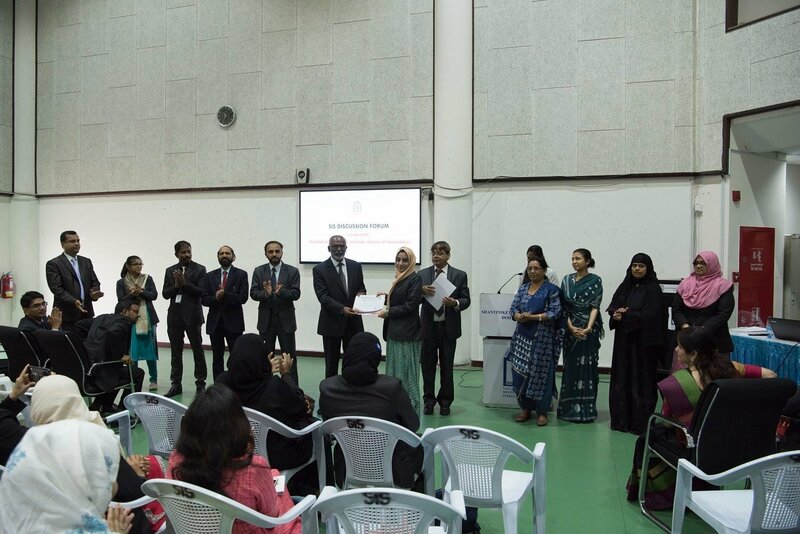 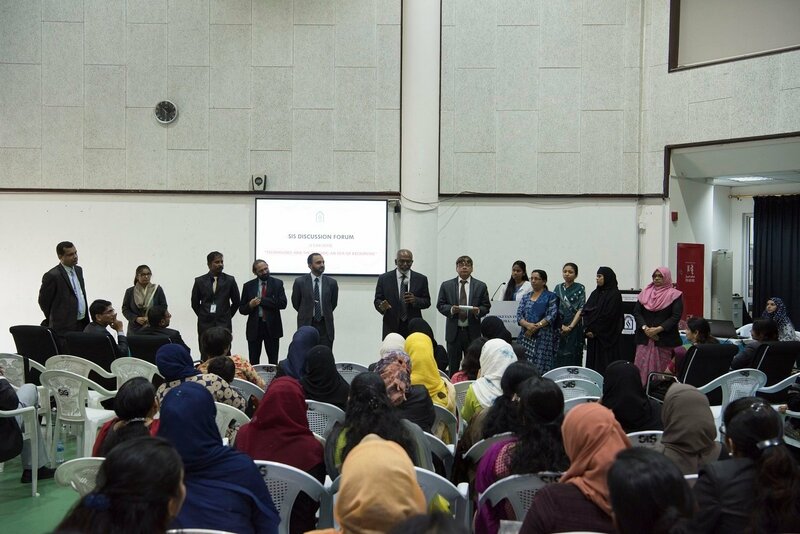 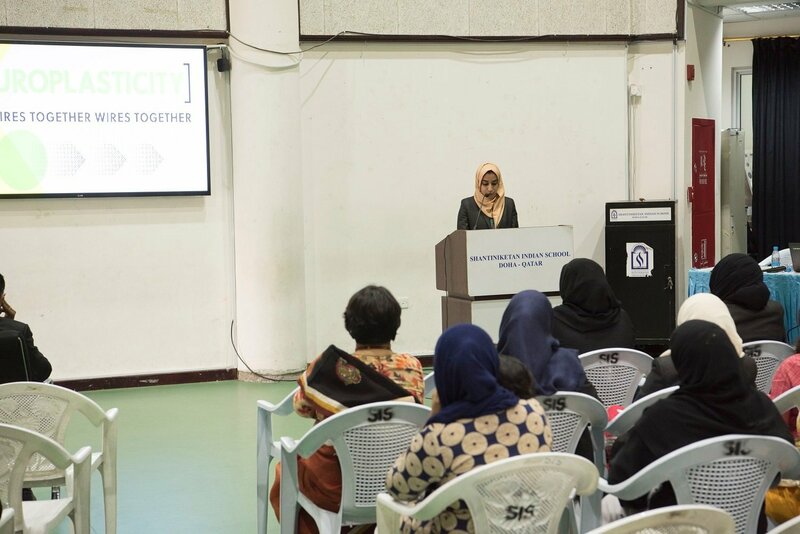 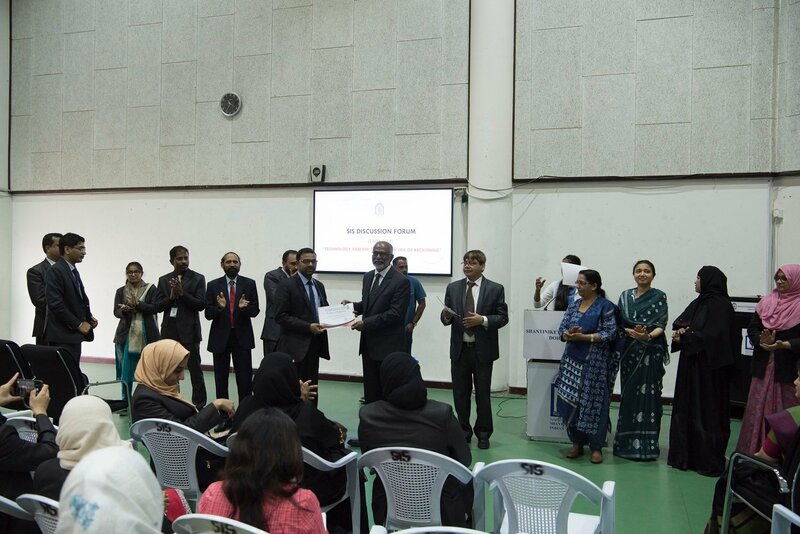 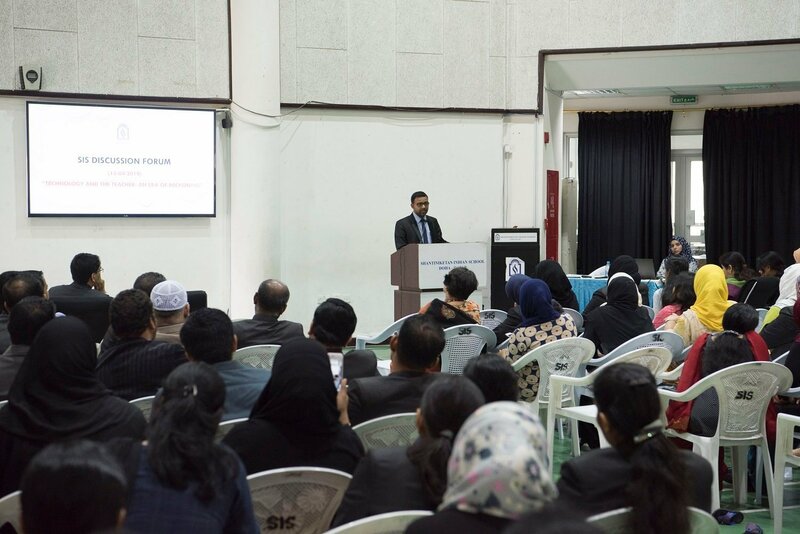 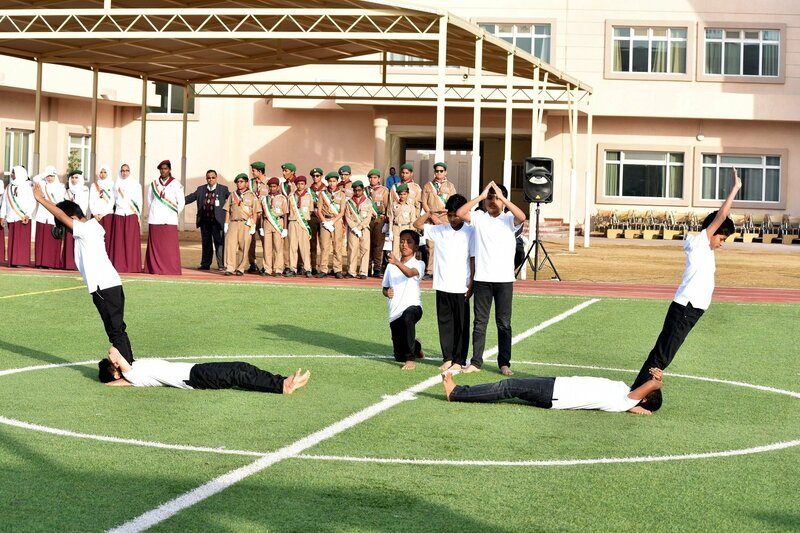 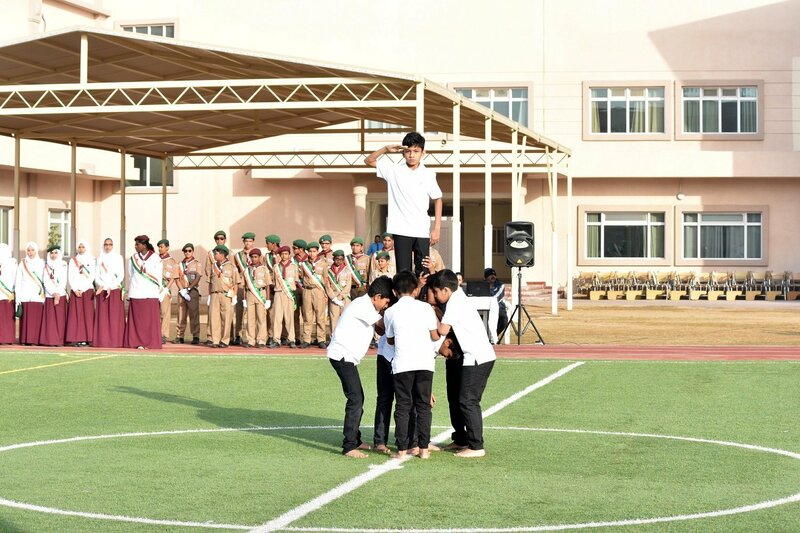 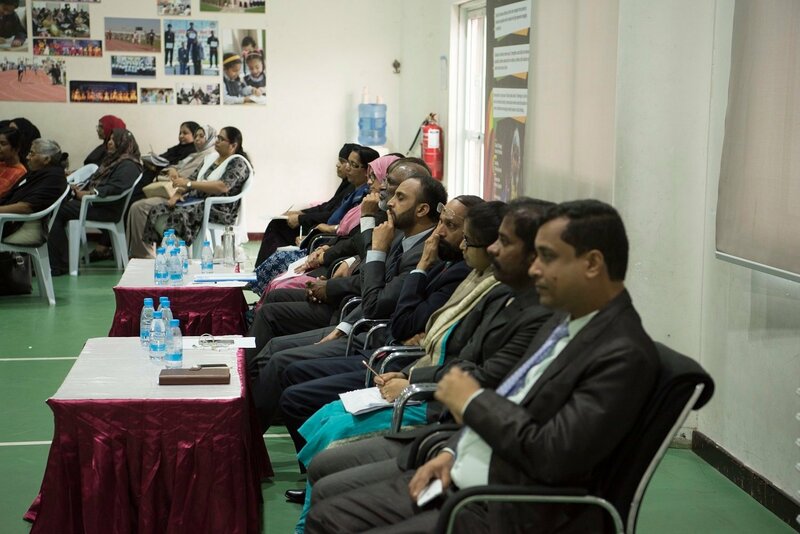 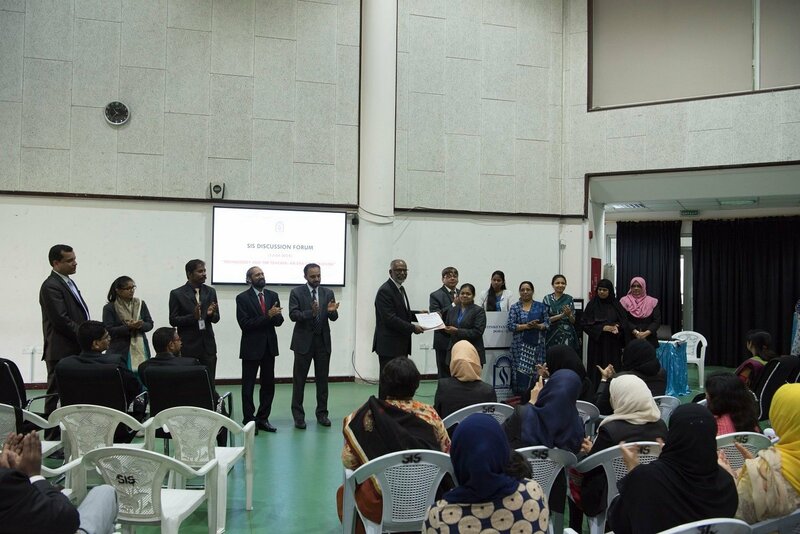 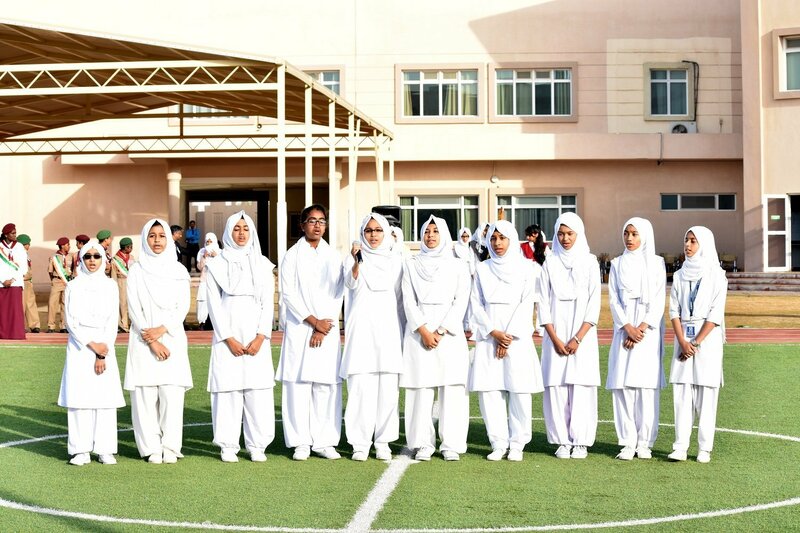 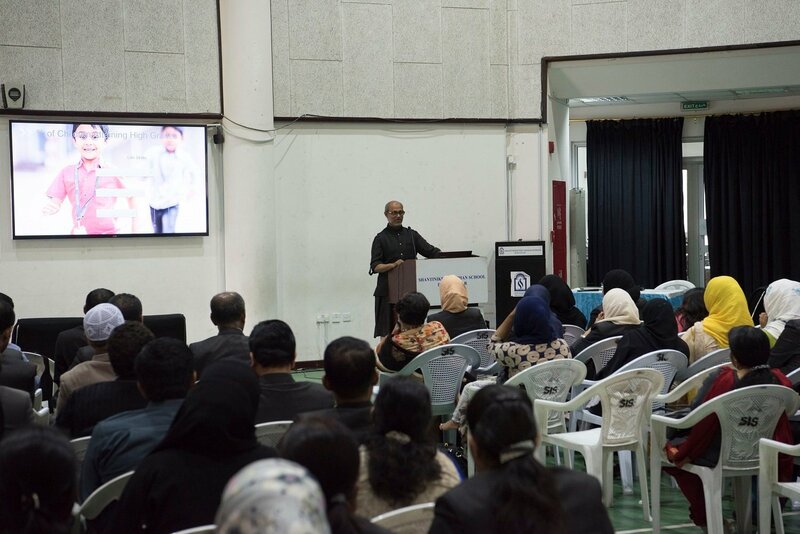 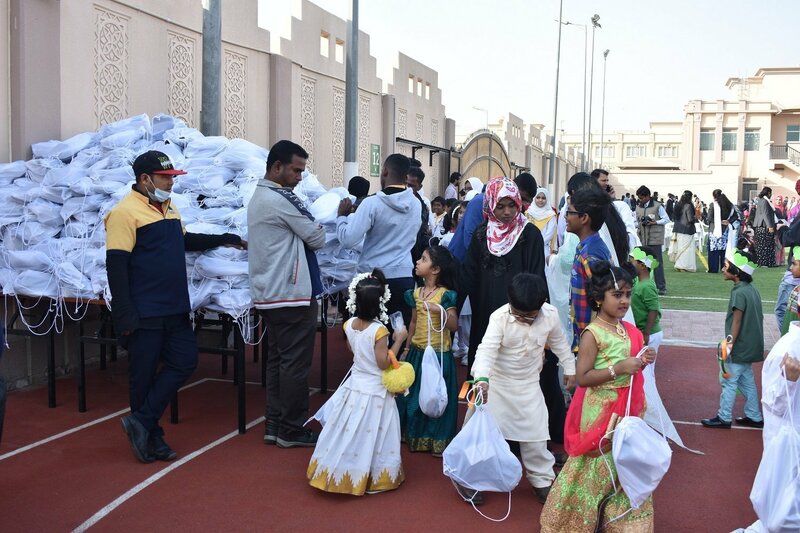 Members of SIS Management Committee, Mr. Rasheed Ahmed, Mr. Shahanaz Noorudheen, Mr. Sharfraz Ismail, and Guest of honour, Mr. Faris Abdul Kader, students, staff and parents participated enthusiastically in the celebration that ended with a note of appreciation by Saida Sidra of class 11. 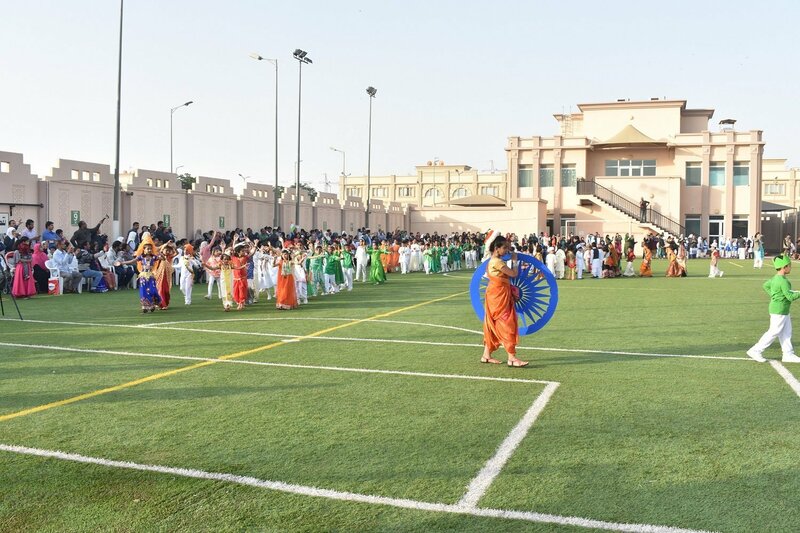 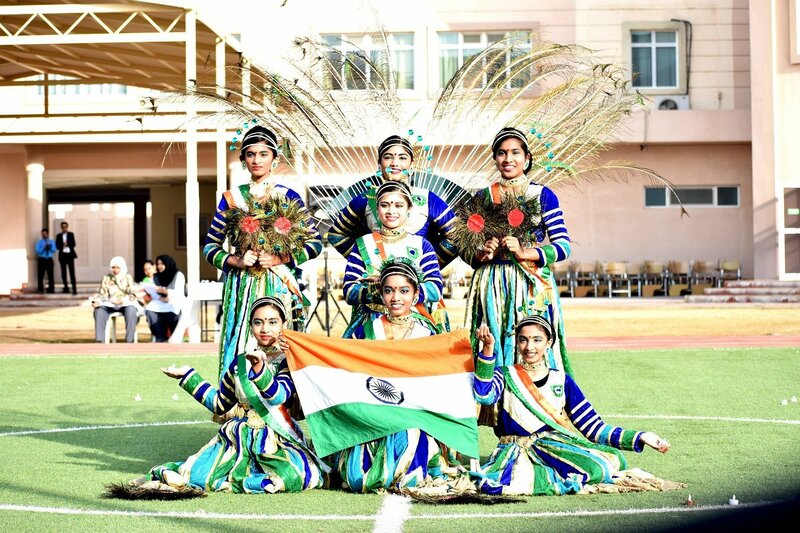 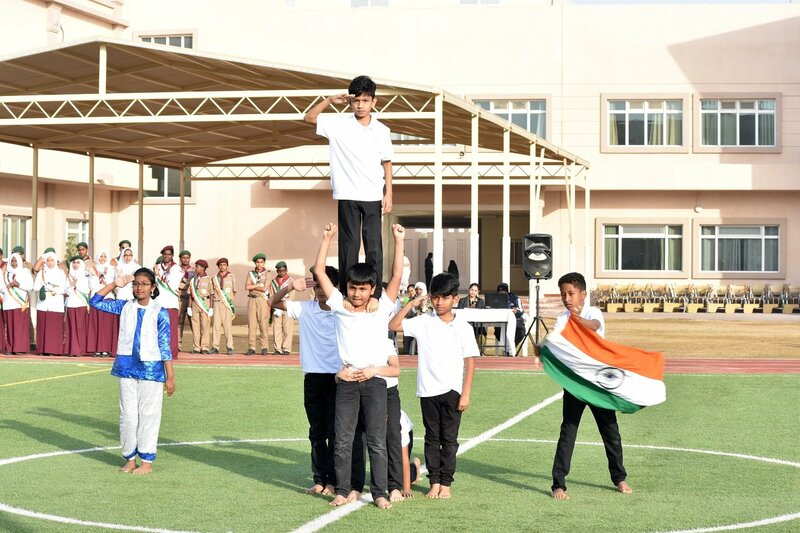 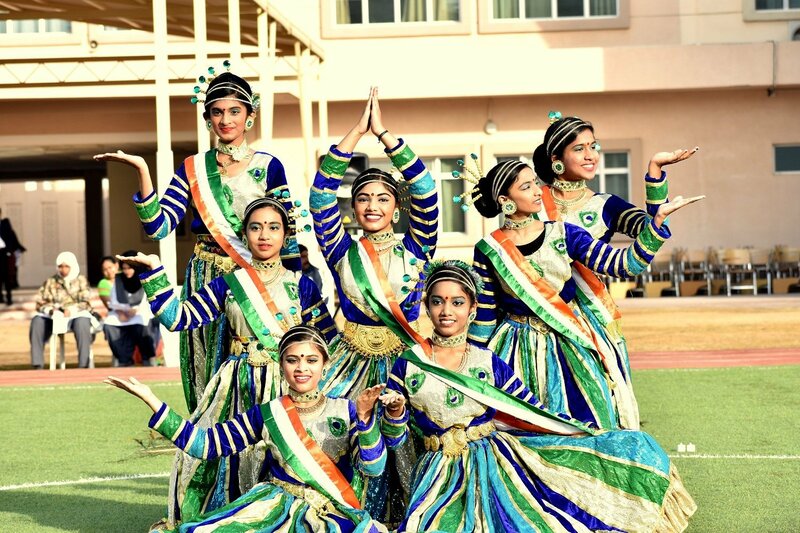 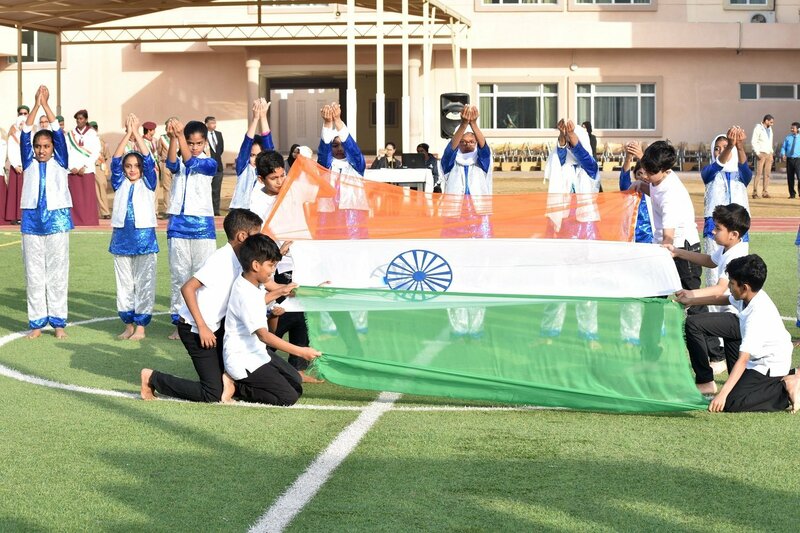 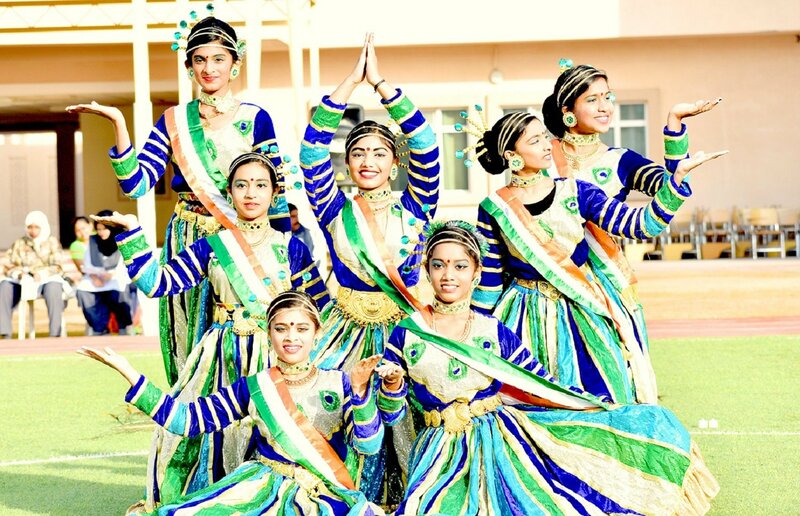 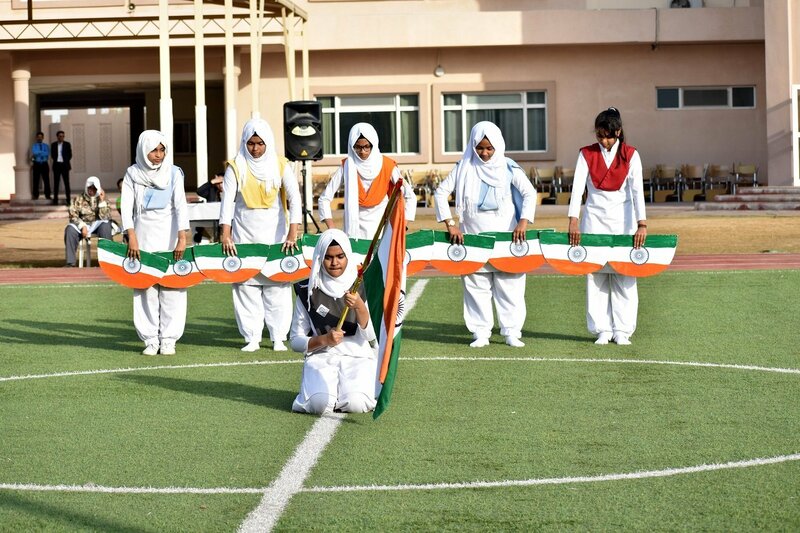 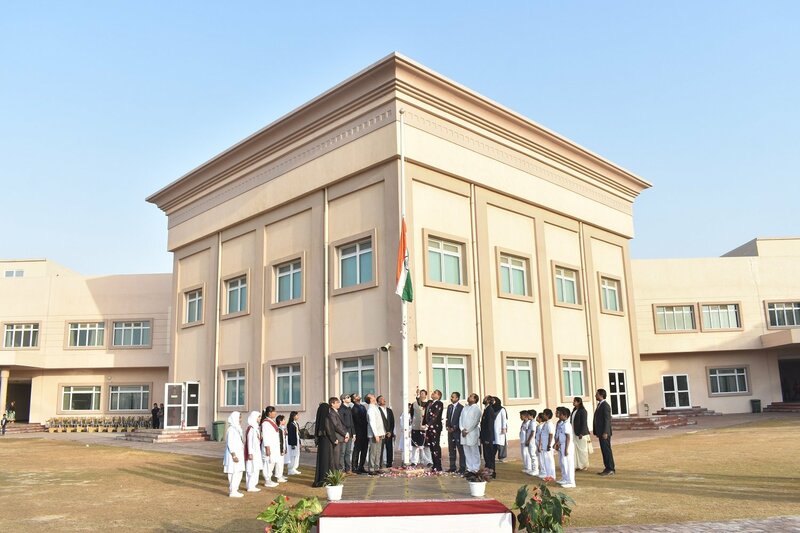 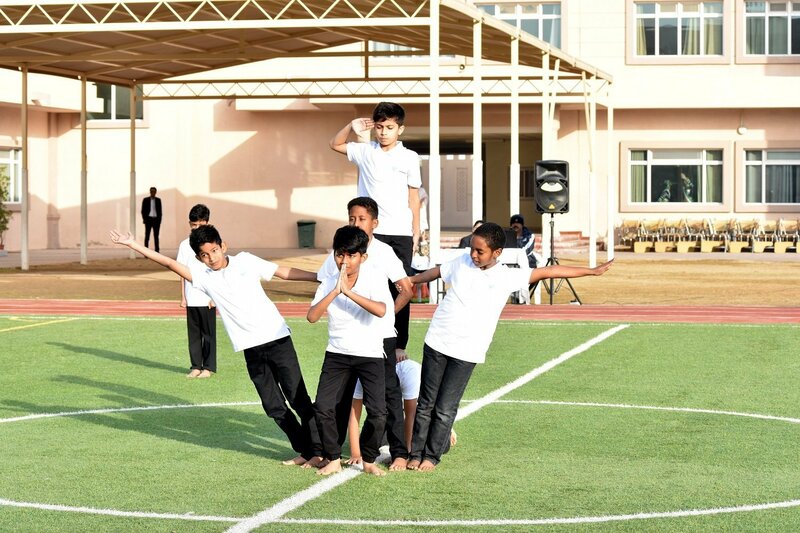 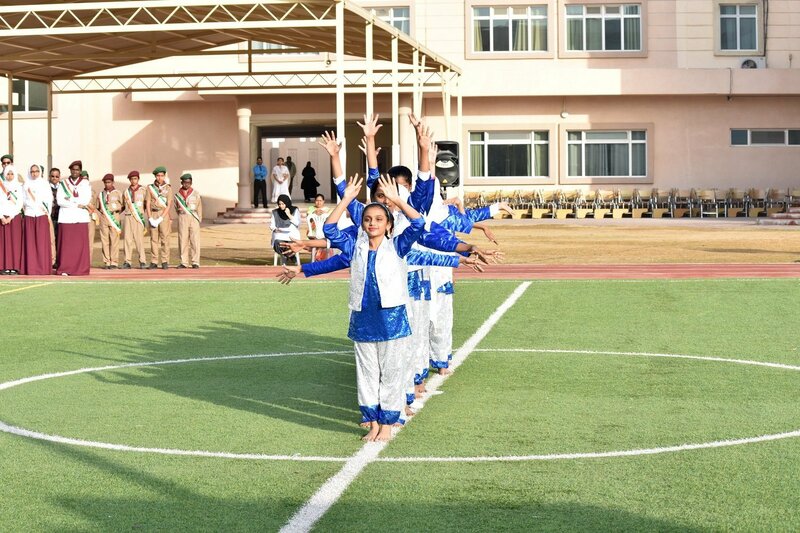 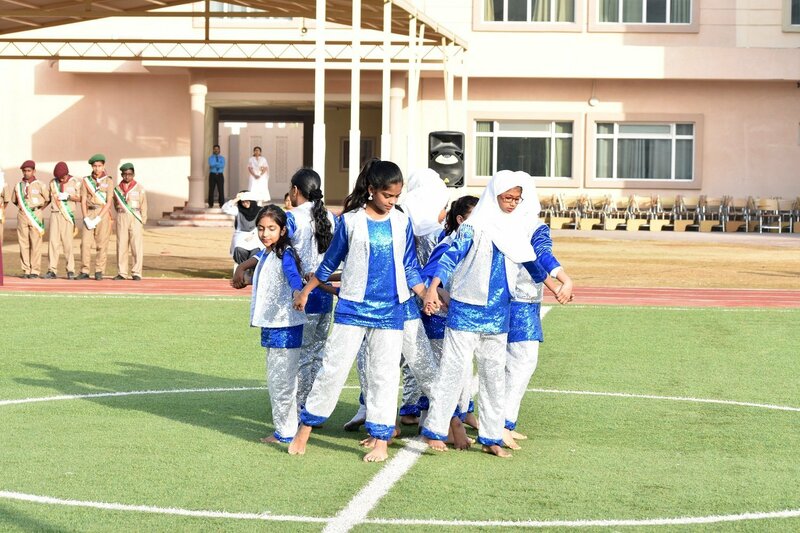 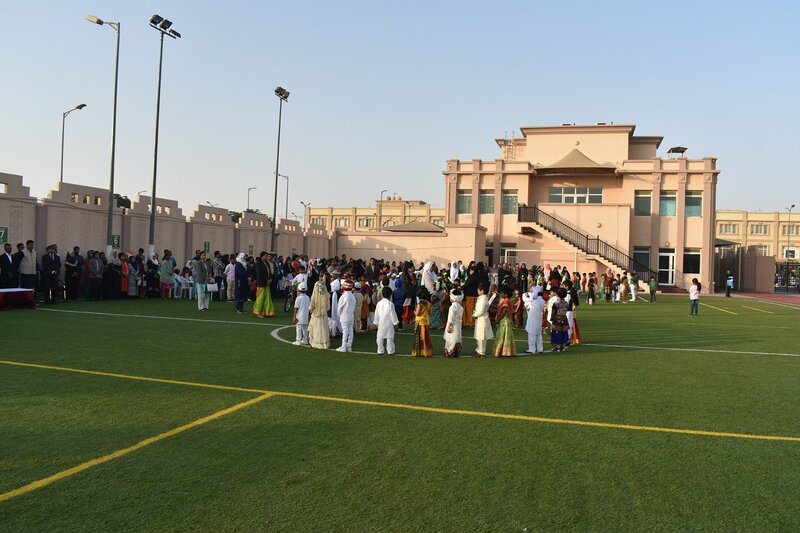 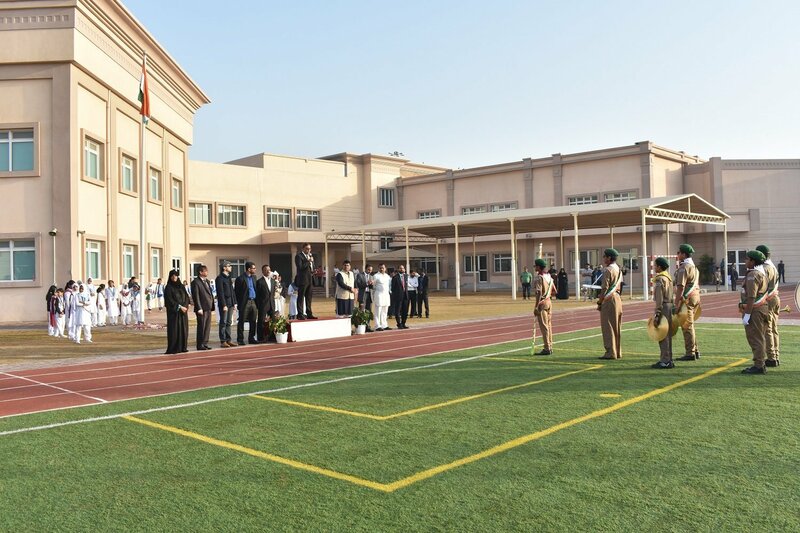 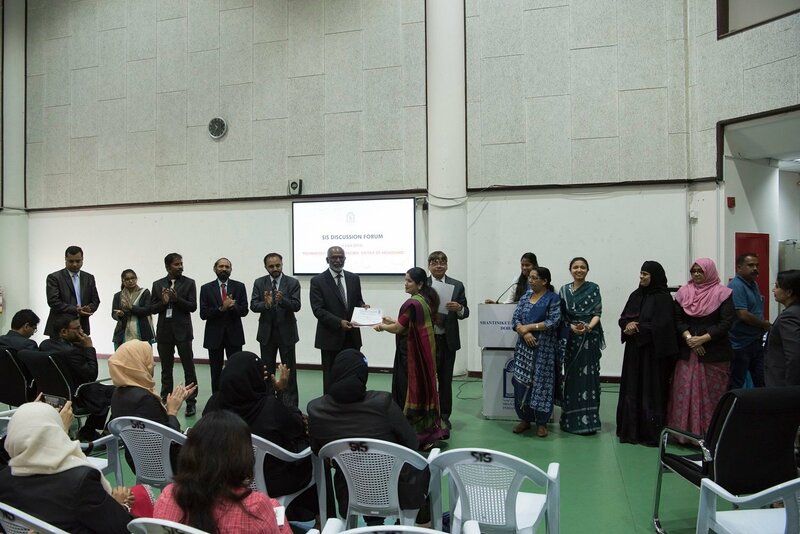 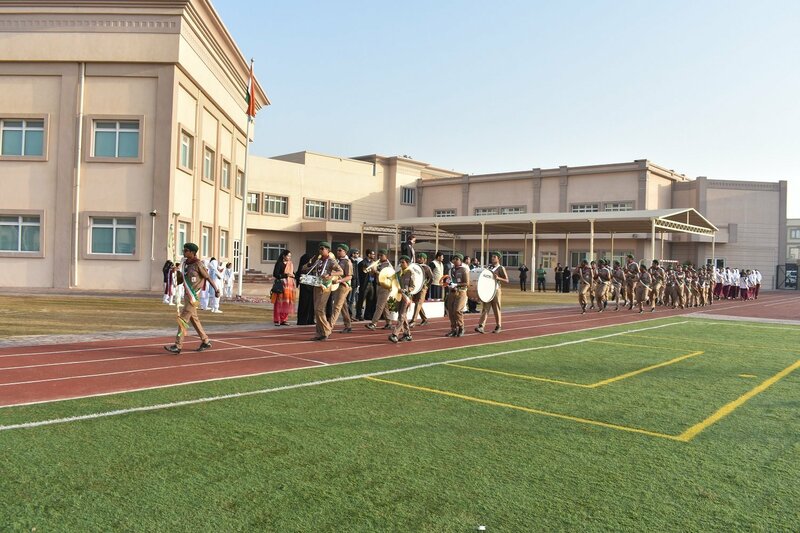 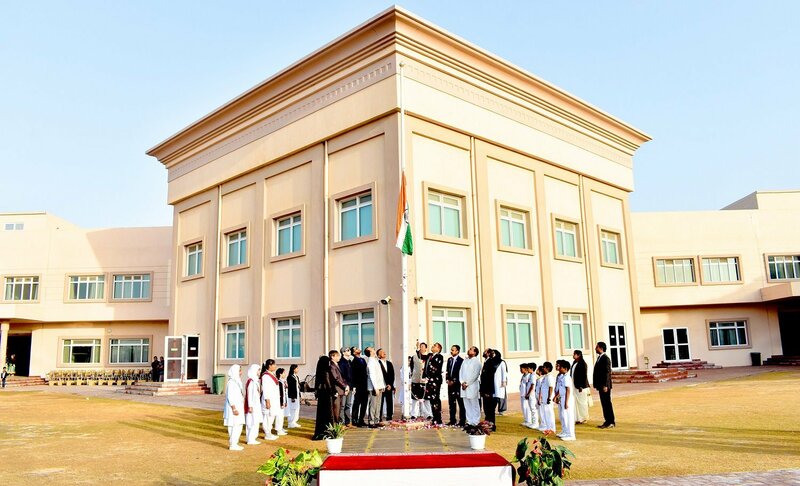 Shantiniketan Indian School coordinated the Inter-school choir representing fourteen Indian Schools in Qatar that performed patriotic songs in the Embassy of India during the 69th Republic Day Celebrations. 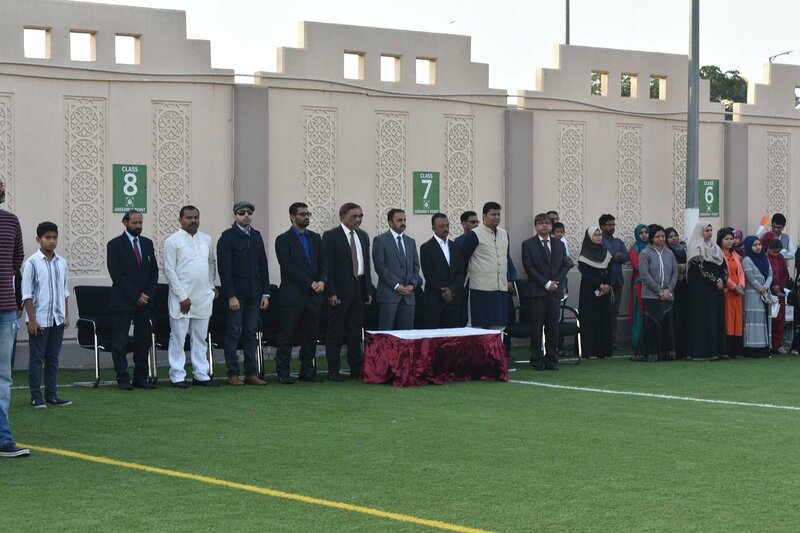 Principal, teachers, students and parents attended the Republic Day Celebrations at the Embassy as well.